Joseph J. Centeno is Chairman of Obermayer’s Labor Relations & Employment Law Department. His national practice includes collective and class action litigation, employment litigation, labor relations and executive employment agreements, and he counsels employers on virtually all employment and labor related laws and regulations. He has extensive jury trial experience and has been lead trial counsel in numerous high stakes trials. He also has broad experience in defending claims before state and federal agencies, including the Equal Employment Opportunity Commission and the Philadelphia Commission on Human Relations, where he served as a Commissioner by mayoral appointment. Mr. Centeno further represents public and private employers in matters relating to labor organizing, negotiations, arbitrations and issues before the National Labor Relations Board. Mr. Centeno has been successful in appeals before the United States Supreme Court on an employer’s obligations under the Americans with Disabilities Act and the Family Medical Leave Act. Mr. Centeno also has been successful before the Superior Court of Pennsylvania on issues relating to trade secret protections. Mr. Centeno is active in Obermayer’s management. He is the Chairman of the Labor Relations and Employment Law Department. 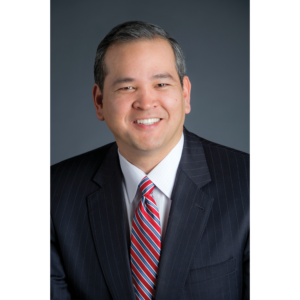 Mr. Centeno is the firm’s Pro Bono Partner, a member of the Long Range Planning Committee, the Chairman and Founder of the firm’s Diversity Committee and Co-Chair of the Education Law Practice Group.